The University of Aberdeen has booked 100 rooms at the Britannia Hotel. 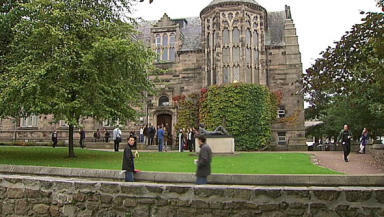 An accommodation shortage has forced an Aberdeen university to put new students up in hotel rooms. The University of Aberdeen has booked 100 rooms at the Britannia Hotel in Bucksburn after experiencing an unexpected upturn in demand. The university said it would pay the difference between the students’ accommodation fees and the cost of the rooms. A spokesman said: “The University is working to manage an anticipated shortfall this autumn for students wanting to stay in accommodation. “This has been caused by a combination of increased demand, high intake this year, the popularity of university accommodation, and the rental market in Aberdeen. "We are working to resolve this situation in both the short and longer term. "Short-term actions include asking students who live locally to consider deferring their entry into our accommodation, and creating temporary dormitory accommodation in existing spaces in our student halls. Aberdeen City Council has been forced to open up voter registration to hotels to prevent students missing out on on September 18’s independence vote. MSP Kevin Stewart said: “Having to live from a hotel room is certainly not an ideal situation to find yourself in. “The Electoral Unit deserve praise for the decisive action they have taken, giving students certainty about whether they will be able to register.